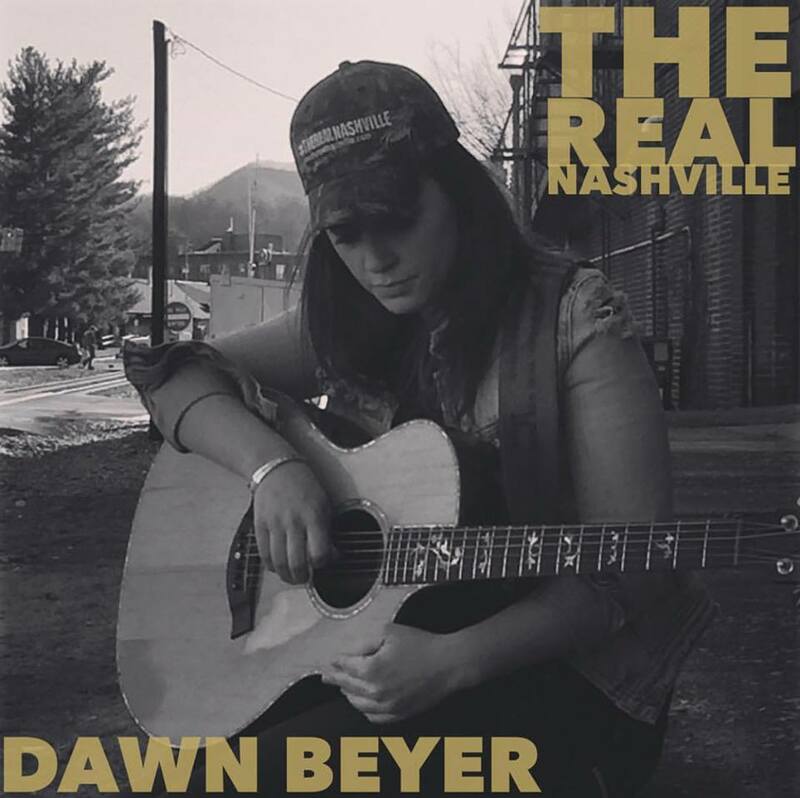 On January 17, 2019, I interviewed country music artist, Dawn Beyer via phone. We had a really good and truly interesting conversation. She has one of the most (probably THE most) unique singer/songwriter careers I’ve heard about to date. Sit back, grab a drink and “listen in”. Think Country: Let’s start at the very beginning. Where are you from? Dawn Beyer: Well, I was born in Sag Harbor, Long Island, New York, but we moved when I was really little, to East Texas. I grew up in Texas and moved to Nashville when I was 16. TC: In early childhood, what kinds of things were you doing? DB: I was kind of a quiet kid, and then as soon as I was able to wrap my arms around a guitar and see over it, I started playing guitar and singing. I wrote my first song when I was nine or ten-years old. It’s always been in me and I couldn’t help the songwriting part. TC: Tell me about that. Your very first experience with a guitar. How did you learn to play one? DB: My very first experience with a guitar was my Dad did festivals, like he did wild west shows. We used to travel around and he did wild west shows at trade days and stuff like that. We were at one and there was a bluegrass band playing, a family band, and I was like, “This is amazing.” I was probably about nine-years old and I thought it was amazing, and I wanted to do that. 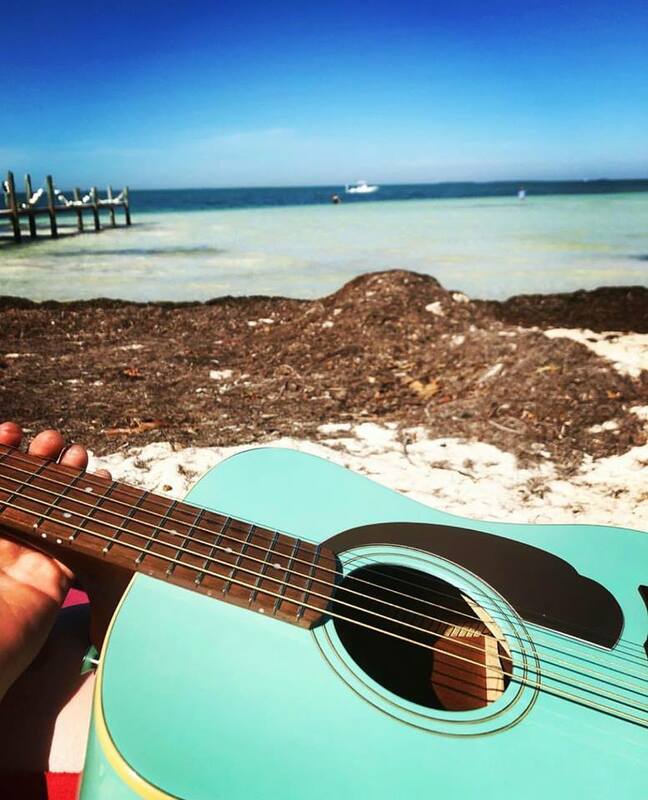 It was almost like that moment when I thought, “I want to play guitar.” I had already kind of started singing a little bit in church and stuff, but that was when I really wanted to pick up a guitar and write my own stuff. So, after that, that very night, we went home and I told my parents I wanted a guitar. Around the time I was growing up we just didn’t have much money so my parents were like, “We really can’t afford to get you a guitar.” So, I told my Mom I wanted one anyway, and I said, “I’m sure I’ll get one”, and I went to sleep that night, and there’s this crazy story. This truck driver came to my Dad’s door that night asking him about an old truck that was in our yard, asking to buy it. My Dad said, “Well, it doesn’t really run or anything.” The trucker said, “I don’t have any money or anything, but I’ll trade you something.” My Dad said, “What do you have?” The guy said, “I have this guitar in the back of my truck.” So, he ends up trading for this old Epiphone and that’s the first guitar that I had. That was my first experience with it. TC: Wow. That IS crazy! So, did your Dad teach you? DB: So, then the same people I saw that kind of inspired me to pick up a guitar, they became our friends. When they were in town to play festivals, they had the same amount of kids as us and everything, they’d show me a chord here and there when they’d come to town, and I’d just kind of teach myself from there. TC: That is so crazy. It’s like the universe intervened. Did that continue on as you became a teenager? Did you just keep getting better and better as you taught yourself? DB: Yeah, I just went on my feelings and whatever chord I picked up and taught myself, I wrote with that. At first it was two chords and then I taught myself more and wrote songs with that. TC: As you grew up, were you still in East Texas? DB: We traveled around a lot of Texas, but yes, we were still in East Texas until I was about 15 and then we moved back to New York for a bit and that’s when I moved to Nashville. TC: When you moved to Nashville, was it because of music or was it just a family move? DB: Yes, I did my first album when I was 14. That album got sent to a few people in Nashville, and a guy from there came to New York and we did a little music video and he talked to my parents and me and said I should move to Nashville. I was homeschooled most of my life, so I sat down with my parents, and it was also just about the time for me to go to high school where I was going to go into public school. I sat down with my parents and they asked me if I’d rather go to high school or Nashville. They gave me that choice and I chose to go to Nashville and write. TC: When you were writing as a teenager and even younger, what kinds of things were you writing about? DB: I felt like I always wrote about really deep stuff that I hadn’t even been through yet, and me and my parents always wondered where these songs came from. Now, being older, I think I’ve gotten clear about what that is. Like, I’ll sit in an empty house or an old house and just kind of let the feeling of the place surround me. It’s almost like theirs, not mine, you know? Like it’s someone else’s story that I’m telling. It’s so crazy. I’ve been doing that since I was a kid. I’d write deep love songs at ten-years old. TC: That’s cool, it’s almost like ghosts or something coming at you. DB: I’ve always been pretty spiritual, so I’m open to that, so I was accepting that the songs weren’t really mine. TC: Yes! Me too! I have never heard this before, but I love this. they’re somebody else’s stories that they never had a chance to tell and they’re giving them to you! TC: When you moved to Nashville, you were obviously pretty young, in the beginning, how did you embed yourself into the music community? DB: I just started working with different managers and people. My Dad and I didn’t have the money to be in Nashville so we were painting houses to stay there and pay our rent that way. I was doing that and just kind of working with different managers who were kind of helping to just develop me. I was kind of at that stage. It was more about what music I needed to go and see and listen to, and studying and working on my craft, and that kind of stuff. What I learned when I got there was it didn’t take me long to figure out that the music business was pretty trappy, and I didn’t really like the whole thing about, “This is what’s popular, and this is what you should do”, or “This is what you should wear”, all of that. It did NOT resonate with me at all. It turned out I only stayed there about a year, maybe two, I think I was 18 when I left, and I just kind of got out of there. I didn’t like it. I didn’t like the whole vibe of it. TC: So, where did you go then? DB: I moved back to Texas for a while, got a regular job, kept writing songs and stuff like that, and it wasn’t until I was like, 25 or 26 that I moved back to Nashville and started my own path of doing it my own way. It was like, I got clear about a lot of stuff and paved my own way from there. TC: So, that’s kind of where you’re at right now then? DB: Yeah. I’m 32 now. TC: So, you’ve been doing it your own way for several years now then. TC: Well, now that you’ve been back, I can assume you’ve been writing and playing gigs. Where are your most played pockets? DB: What really helped me kind of pave my own way was when Facebook came out with the Facebook Live feature and I had been playing on Broadway in Nashville just for tips as much as I could, just to pay my rent and just to be able to be doing just music, and it was kind of soul-crushing. I mean, I totally understand why people come to Nashville. They want to hear the songs they’ve heard on the radio. I think they want to hear new stuff, but I think it’s what they’re accustomed to, and what they’ve heard before, and because of that, it’s what they ask to hear, and so you end up playing cover tunes as much as you can to try and make a living. It’s kind of like you’re making a living doing what you love, but you’re not really, because you don’t necessarily love to play cover songs. So, I got really depressed and I didn’t think that was the life for me, I didn’t think I wanted to do that. So, then I came home one night, I had lost my voice playing on Broadway, because what happened is, you play for so many hours, it’s like a four-hour shift, and then another four-hour shift, and it’s not good for your voice. You don’t get a rest. You just keep doing your best to keep singing for that four-hour period each shift, and there’s so many singers there, just to keep the gig, it’s like it’s hard to even get the gig, so you keep going. So, I lost my voice a couple times then, and I was living about 45 minutes away from Nashville at the time. I was driving a $500.00 car that barely ran, and I was living in this shack that didn’t even have a heater, and I came back home, and I thought, “I can’t do it this way, there has to be another way.” So, I came back home and I seriously went on Facebook for some reason, and I really wasn’t even using Facebook then, and I went on there and saw the Live feature and thought, “What if I were to go live on here like I do on Broadway or in a bar, sing, and put a virtual tip jar up?” From the very beginning, I came up with this concept of using like, a Paypal link or something on a virtual tip jar, and getting on there and playing my own music. So, I did that and when I got my first person, I was like, “Oh, my gosh, if it works once, it works. This works. It’s crazy.” So, I’m just sitting here where I live, not having to leave the house or get parking or anything and just do this here online. So, I started doing it, kept on, growing slowly with more listeners and stuff like that, kept my job on Broadway just to keep the bills paid, and it got to the point where I was doing so well online that I didn’t need to keep my other jobs. So, I went full-time to singing online, and I started selling CDs and making t-shirts and I started getting booked. Then, from there, that was like, four years ago that I started doing that, and from there, it just grew and grew and grew consistently, and now I just travel around constantly doing it. So, I do this thing where I go around singing in living rooms, where I basically only make myself available for the things I enjoy doing, and for me, it’s living room shows because that’s what I enjoy and what I’d like to listen to. Like, I’d like to listen to Garth Brooks in my living room if I could, that would be the best ever. I love that concept, to really hear them, instead of in a bar or venue, so I’m available for those, and these listeners, they’re so supportive online, they’ve been watching me for however long, and they will hire me to come to Maine or Canada or, like, I’m in the Florida Keys right now. I’m going to England and Ireland and London and it’s crazy. Sometimes they’ll show up and it’ll only be like, two people, a husband and wife, just two people that really love my music and want me to come sing for them, and I’ll show up and sing for them in their kitchen. It’s so crazy and cool. TC: That is absolutely excellent, and you get to see the world doing it. DB: I actually get to connect with the people who listen to my music too, which is something that I think can be lost in the shuffle when you have such big venues and things like that. So, I make myself available for living rooms and I play theaters. 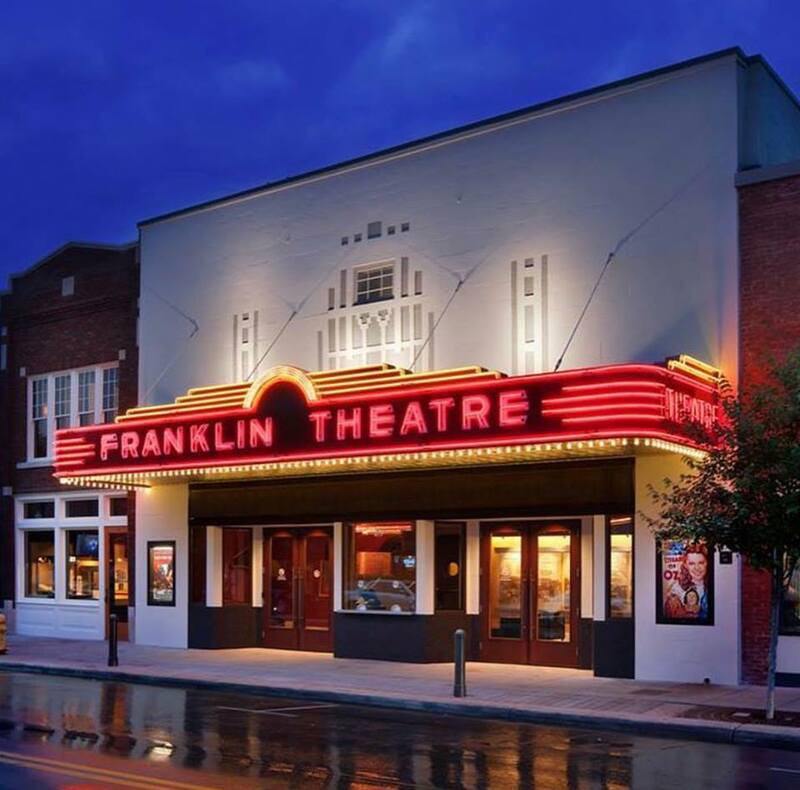 I’m playing the Franklin Theatre, which is so crazy because that’s where I moved to when I moved to Tennessee, is Franklin, and that’s where I painted houses and worked festivals selling pretzels and stuff like that. Now I’m going back this year to play at their big theatre, so that’s crazy. TC: That’s a great success story. This is a very different story than I usually hear, so I’m really enjoying this. You’re actually playing an album release show at the Franklin Theatre, right? In April? TC: How many songs are on that? DB: 12 songs, a full-length, full-band album. It’s also the first time to do it myself, which is so cool. Nobody’s telling me how it should go. I’m putting the show on myself, it’s like I have my own record label without having the label. TC: That’s great. What is the album called? DB: The title of the album is Heart Ride. The Real Nashville is the name of the band playing on the album. TC: Where did you record that? DB: It’s really cool. 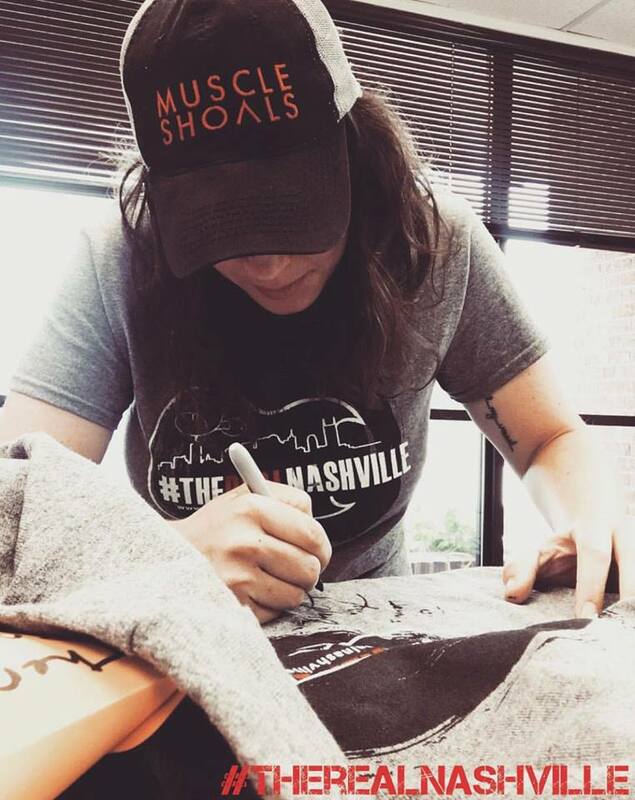 I lived in Muscle Shoals, Alabama for a little bit, which is a really big music place, and when I did, I started working on some of my album then. Then when I moved to Nashville, I started working on it there, so it’s like a little cross between Muscle Shoals, because we did a little bit there, and actually recording it in Nashville. TC: Well, that’s cool because it’s a combination of two music hot spots. TC: Now, the songs on it, were they all written by you, or were some of them co-writes or what do you have on there? DB: There’s a couple, there are very few that are co-writes. I think most of them are my own songs. TC: Really, this project is your baby then? DB: Yeah. It’s crazy. From start to finish, on how we were going to do this whole project, with the album release, and the touring after, and everything, is under what I call, The Real Nashville, just my “label, not label” that I have. TC: It’s your own independent kind of thing. DB: Yeah. It’s basically what I’ve learned from the beginning is perception is a big deal. Like, when you go to see an artist’s album release concert, you expect for there to be “Brought to you by such and such” or “Put on by this label”. That’s what happens normally. For me, from the beginning of this, I just started thinking about peoples’ perception. So, when I do that, I did my first acoustic album release and I put signs up that had my logo and The Real Nashville, nothing like just my name. It was like “the label” was putting me out, other than just myself, because it makes it seem more like, I don’t know, peoples’ perception of how that all works. TC: Yeah, I understand what you mean. Also, when I hear The Real Nashville, my perception of that is, I think a lot of times when people come to Nashville, especially if it’s just a casual tourist coming, maybe for the first time, or even for the twentieth time, if all they ever do is go down Broadway and listen to cover songs, that’s not really the real Nashville. The real Nashville is people that are creating new music that people can sing covers of after it’s been created. DB: That’s what made me think of The Real Nashville. It started off as kind of a joke because of “Nashville”, when I started watching that show. They had a guy singing downtown at one of the bars on Broadway, and he was talking into the mic. He played a song, and then he said, “We’ll be right back after this break.” I’m like, “That never happens, we never get breaks.” You know, I loved that show, but it just made it look so glamorous, and that’s not really how it works. The real Nashville is getting in a stinky elevator, to go up to the top floor, to try and get your check from the owner, who’s not so nice and makes you feel awkward, you know? It’s like, not glamorous at all. The real Nashville is counting up your tips and making sure you have enough money to get home, because it’s not like we get paid a bunch of money to play down there. The real Nashville is playing and hoping you’ll get a free burger and beer, that’s what it is. Also, all of my friends that play down there, they all have original songs that are great, and that’s where I started going down there and taking video and little clips and putting them on Instagram and saying, “This is The Real Nashville. This is one of my friend’s original songs.” It’s not to say that they never play their own songs down there, it’s just that the majority of people coming in, which makes total sense, want to hear songs they’ve already heard. TC: Right, and that’s because they want songs that they can sing along with, and that’s all fine and fun, but there really is a lot more to it than just that. DB: The crazy part is whatever the popular song at the time is, whether it’s “Wagon Wheel” or “Girl Crush” or whatever it is, as you’re driving along down Broadway to get to your gig, as you’re passing each window, you can hear that song playing in that bar, and that bar, and that bar. It’s crazy. Just because there’s only a top 20 countdown on most country radio stations, so it’s just only what they’ve heard. TC: It’s funny, because one of the last guys that I just interviewed (J Edwards), we actually had that exact conversation. Pretty much those same songs that you were just talking about, plus a couple of different pop songs. TC: That would be one! That and Journey’s “Don’t Stop Believin’” was one he mentioned. It’s all great until you’ve heard the same song ten different times in ten different bars, but that’s what people want. TC: “Let’s ‘Wagon Wheel’ for the ninth time!”, right. There are people out there that are really serious music people and you are one of the people that they want to see. So, you are one of the people that we like to introduce to the world. DB: Oh, totally. I’ve met so many of them while playing on Broadway. They would come in and say, “Hey, will you play me one of your own songs?” That was always awesome for me because the majority is not that. TC: It’s unfortunate, but we’re trying to educate people and change that a little bit. I mean, even “Wagon Wheel” was original at one time. TC: As an independent artist, are you happy with that, or do you someday aspire to sign with a major label? DB: Whenever I was asked, even as a kid, whenever I was asked where did I see myself in ten years or something like that, I always seemed to answer with, “I see myself feeling happy”, so that’s always been my main goal. I actually have a program for artists that I created, that’s a video series, and it’s called, The Real Making It. In it, I just talk about how I got clear on things. You know, sometimes when I’m on Broadway, people will come up to me and say, “You’re so good, why don’t you become a singer?” I’ll say to them, “I just sang for you.” Or they’ll say, “You’re so good, why aren’t you on the radio?” I’m thinking, “Well, there’s only 20 spots.” Or there’s, “You’re so good, I hope you make it one day.” That would hit me weird, it always did, like, what does that mean? For them, the perception is, when you’re on the radio and you’re selling out arenas you’ve made it, but what does that mean for me? I realized after playing on Broadway when I first moved to Nashville, I was chasing a dream that wasn’t actually mine. It was just the dream that is, like if you’re a singer you move to Nashville and you become a big star. That’s the dream that is, and that’s the dream that most people think you have, and that never resonated well with me at all. So, I was like, well, what is MY “making it”? That’s all that really matters. I realized that I’ve “made it” when I’ve gotten to where I’m really happy and feeling good and that’s all that matters, and that what I’m doing is resonating with me inside. So, that’s kind of where once I got clear on that, where I am right now, I realized that where I am right now, and people do ask me that a lot, “Oh, are you going to sell out arenas?” and stuff like this, and I’m just like, “No, I really just want to continue to connect with those who really connect with my music, and sing for those people, and keep writing music and keep being able to do this for a living. Really living for a living. Getting to travel and see new places and still have a personal life. Like, I don’t go in Walmart and people don’t come up to me and ask for an autograph. I might be in a coffee shop once in a while and somebody will come up to me and say, “Are you Dawn Beyer from online?” I’m like, “Yeah”, but that’s only every so often, so I still have a personal life. I don’t see that as something that seems so amazing, you know, to be so engulfed in the mainstream as when you’ve got a song on the radio, or you’re pushing yourself so hard, hard, hard doing show after show after show at arenas, and working so hard to stay on top of what’s relevant at that moment or what’s current at that moment. I think it takes a lot away from the artistry of what it is, and some people are made for that and do that. I think it may grow on its own organically, and when it’s time, I’ll be like, “Okay, that’s enough”, and I’ll try and stay as simple as I can, because I’ll want to try and keep the life that I have and that happy that I feel. TC: That’s good, so you’re very content at this point, which is so unusual and I’m very happy to hear that. DB: Well, you know I’m making what I would probably say, as far as income goes, I’m probably up there with those people that have deals, and even have a song on the radio, I don’t know. I don’t know what they’re making, but I’m content and making enough to live my life the way I want to live it. Why would I want to sign away any kind of rights or anything like that when I’m already so happy with the life I have? TC: I can’t even imagine why. It sounds like it’s going really well. Are there any songwriters that you would like to work with? DB: It’s interesting that you mention that, because my next step, I’m always thinking about new things to grow, because right now I’m a business, a business of music, and I’m always thinking about the next thing that I’m going to do to grow. I have had two songs cut commercially in Canada on the radio, but the next step for me, would be to have an artist cut one of my songs, not me, myself, but have another artist cut one of my songs that would be on mainstream radio. It would make me feel accomplished in songwriting even more to have a bigger artist that chose that type of life, do one of my songs. TC: Do you feel like there might be a certain mainstream artist that would fit your writing style? DB: Yeah, I do. I think people like Lee Brice and, of course, Garth Brooks is amazing. Everyone involved with Garth Brooks is amazing. I’ve actually written with a couple of his band members and they’re all awesome, and one of his main songwriters is one I’d love to write with. The artists that are still trying to have songs that mean something, just at least something. I think now on country radio it’s so hard to find a song that everybody can move to and likes the tune of it. It’s so hard to capture the attention of people right now, because you need something catchy. To have something catchy, but also mean something other than beer, trucks, girls, tan lines, you know? TC: That’s how Lee Brice’s songs are to me, so you’re right. He would be a good fit. They do have a good story. Even if he didn’t write the song himself and he takes a song written by somebody else, he picks the songs that have the stories. DB: Well, that’s what’s so beautiful. I’ve seen him live before and whenever someone asks about an artist I’ve seen live that I would recommend, it’s Lee Brice. I think the magic and the “it” factor in songwriting, or in the performance and the delivery of a song, is to be able to sing that song and have the person listening be like, “There’s no way that’s not their story.” No matter if it’s your song or not. Sing that song like it’s you in that story, right this minute. You’re in that song and you become it, and if you do that, there’s no possible way you won’t connect with people. I think that’s something when I saw Lee Brice sing “I Drive Your Truck”, I could have sworn that was his story, then I realized later on it’s not. That’s what makes it so amazing. That’s what makes an amazing, not just songwriter or singer, but even if you’re writing a song about someone else and not yourself, nobody ever knows if my songs are about me or not. It’s about whatever you think it is, that’s what it is. That’s how music videos will ruin a song sometimes, they make it too exact. I don’t want to tell you exactly how you need to see a song. Let me just sing it for you and you feel what you feel, and you get what you get from it. TC: Who do you think, and obviously this is a really tough question, I know I would have a terrible time answering this, but I ask just for fun, who do you think is the best male songwriter in any genre? Songwriters, not performers. TC: Of course, it’s really just someone’s opinion, it always comes up a different answer, but sometimes not, especially when it comes to country. The same names float around quite often. DB: I mean, Elton John is amazing. I would probably go with Elton John. I feel like he could write anything for anyone. TC: What do you think about female songwriters? DB: I really like Lori McKenna, I don’t know if you’ve heard of her? TC: Oh yes, love Lori McKenna, and she’s coming to The Ryman soon I saw. DB: Yeah, because she’s got some really interesting stuff that she writes. I would have to go with her right now. That’s a really hard thing to come up with. TC: It is. That’s why I do it. It makes the wheels start turning a little. TC: This is such a current thing and really has been for a while now. 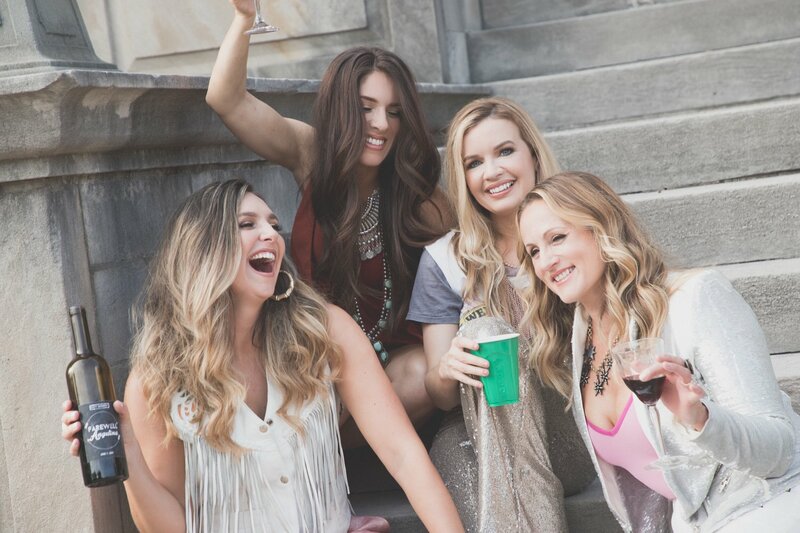 Do you think females in country music are getting a raw deal right now? DB: I think it’s always been, like, if you’re not a Faith Hill or Carrie Underwood, you have to look the part before you get heard. TC: I think you’re probably right on that. DB: I do think Ashley McBryde is a big game changer. Ashley gives zero shits. TC: I agree. She is an absolute ground breaker. She just went through and started punching holes through everything, while on a major label. I guess maybe they finally realized, maybe at least a little bit, if the fans don’t care, why should they care? DB: I feel that it’s kind of like the outlaw country thing. TC: Her voice and her writing are overriding any zero shits she has to give. DB: When I see her with all the makeup and everything, I think that must be a little uncomfortable for her because I feel like that’s not her thing. TC: I feel like her talent speaks. They can do whatever they want to her. She can do whatever she wants and say whatever she wants. If she says something that’s a little bit over the line, or whatever infraction it is, her fans would go absolutely nuts if the label dropped her, you know another label would snap her up in a minute. TC: Music is not a visual medium. It never was, well, until we started getting to the point where we had music videos anyway, but before that, you listened to it on the radio or you went to a show and you listened to it. I think there’s way too much emphasis on how people look, but like you said, now we have people like Luke Combs, not exactly a GQ model, but he’s really good, so I’m hoping that tide continues to turn, where we stop caring so much what a person looks like, and we start caring about the quality of their music. DB: Not only that, but there’s so many platforms to put yourself out on now. Like the platform I have. I work really hard to have a lot of people listen to my music, by finding pages that have lots and lots of country music fans and stuff like that. There are so many platforms, and a lot of people would argue this with me, but a label, and it’s still big enough that most people want to be on a label because there’s so much money involved. If you want to get a song on the radio, I would say it’s impossible without a label, because everything’s so political these days I feel, because people are paying to get their song on the radio, and there’s only so much you can do independently with that. So, if you want your song on the radio, you kind of have to have a label. At the same time, if you want to do it your own way, and you just want to make a living at it, I don’t see why you would need that. TC: Right, but like you said, if you want the entire universe to hear your song in a hurry, you need to get it on mainstream radio and you need to be signed to a label for that to happen the majority of the time. DB: It’s all so political which makes that hard. You also have to become whatever’s current. If it’s Luke Bryan, you have to become a Luke Bryan or whoever else. You have to do that in order to “make it”. TC: True, and I think that means fame, fortune and selling out arenas, that’s the definition of “making it”. DB: That’s the general perception, yes. Maybe that’s changing now that there are different artists doing different things. TC: Right, especially now that we have so many different ways to hear music rather than back in the day when the only way was mainstream radio. TC: You’re right, those numbers aren’t just numbers, they’re humans. DB: Those people are sitting at home and they have time to really listen. They’re not sitting in a crowded bar. TC: Right, and they’re not getting a drink spilled on them and all kinds of other stuff like having to pay for parking. DB: Drinks are a lot cheaper. TC: Yeah, drinks are A LOT cheaper. TC: So, if you weren’t in music and it all just fell apart today, what would you do? DB: Oh, I don’t know how I would because I would never be able to not write songs. I don’t ever see anything else I would do. I’ve never had a Plan B of anything. If I couldn’t play guitar anymore, I would still write songs. TC: You would just write them in your brain. TC: Okay, I just have a couple of fun questions to round it out. If you look directly to your left, what do you see? TC: Okay, so I’m not even a little bit jealous right now. I don’t even want to talk about that. TC: I look to my left and I see a printer. TC: What was the last song you listened to other than your own? DB: It was an Ingrid Michaelson song called “Keep Breathing”. TC: Good song and good advice to keep breathing. TC: What is the most unusual item you have in your refrigerator right now? I know you’re not at home right now, but if you can think of it. DB: Hmmm… chili toasted sesame oil. TC: In your travels, were there any cities that you were thinking were going to be kind of terrible, but then you got there and it ended up being really cool? DB: Probably Jersey Shore. Going to Seaside Heights where the Jersey Shore is, because I’d only seen that show (Jersey Shore) before and I thought it was going to be like that. I thought it was going to be super-packed and crazy and everyone would be throwing up and partying so hard and it would be obscene. Well, I showed up there in September after Labor Day and everyone had just left, and it was super quiet and beautiful, and I ended up writing a song and kind of walking around the boardwalk, so I’d probably say Jersey Shore. TC: So, it was pretty chill and enjoyable? TC: Finally, since we are Think Country, when you “Think Country”, what do you think? DB: I think “safe home”. Yeah, I think of a safe home. 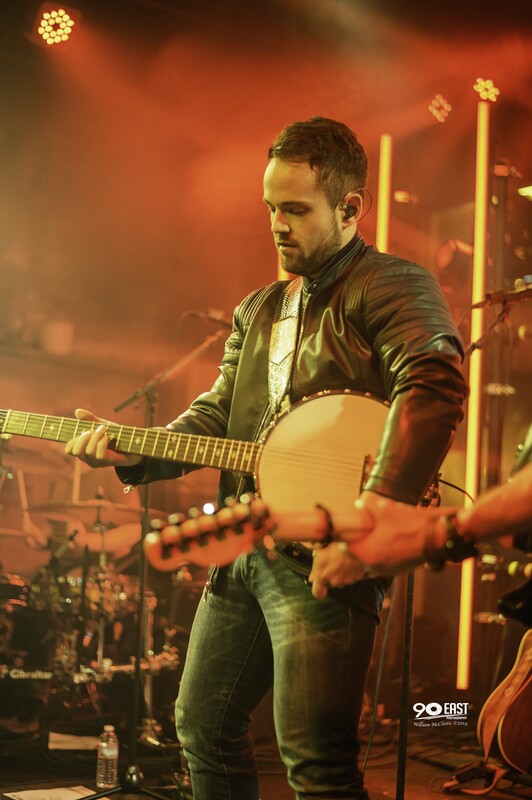 That’s why I chose country music, because I think even if the newer country music isn’t as in-depth as the older stuff, the idea of it is to sing songs about love, songs about life, songs that mean something. That’s what country music is to me. TC: That’s awesome. We’re done. You did great. DB: Sweet. I feel like we’re friends now. TC: We are! We’re definitely friends.